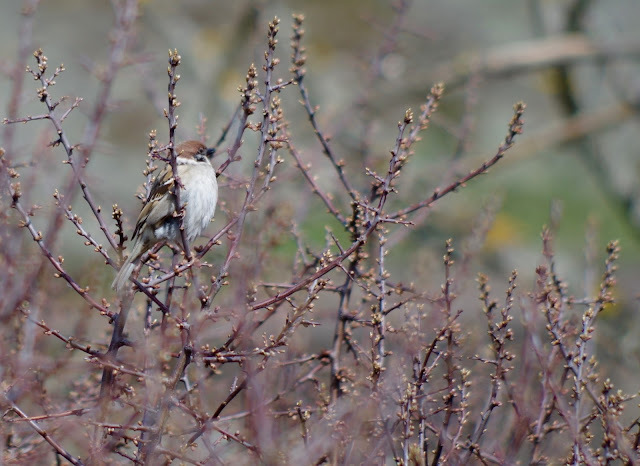 I always have a hard time separating the tree sparrow from the house sparrow, trying to remember which one has the black spot on its cheek. This one has a black spot, I decide. Hence, according to the literature it's a tree sparrow. Skaftö, on April 19, 2015. Pentax K-50, ISO 100, 300mm, f/5.8, 1/400.